I’m reposting this article in full here, because the magazine it originally appeared in has recently folded. This piece originally appeared in Seaword Magazine on December 8, 2010. September 4th, 2006: When the two US A-10 Thunderbolts rolled in for the attack, it was dawn and the sun was starting to come up on the faces of the pilots. The air controller had directed the ground attack fighters to launch their assault on the other side of the river, and to look for a fire that marked the target. As the planes—called‘Warthogs’—screamed towards their target at a relatively slow 560 km/h, they saw a fire below them, and fired a burst of cannon. It was a tragic error. The fire had actually been built by Canadian soldiers to burn the garbage from that morning’s breakfast at a provisional camp on the other side of the river. In this well-recorded “blue-on-blue” friendly fire incident in Afghanistan, 30 Canadian soldiers were wounded and one Canadian soldier died: Private Mark Anthony Graham, a Canadian Olympian at Barcelona in 1992. Lieutenant Colonel Norbert Cyr, the Canadian military’s Senior Public Affairs Advisor, says that the Canadian military reported this incident the same day to the public. “Our policy is to be as transparent with the public as possible as long as the information will not put any lives at risk,” he says, and denies that the Canadian military has tried to cover up any friendly fire incidents. Some members of the Canadian public are not so sure. In July 2010, when Wikileaks released nearly 77,000 classified documents about the war in Afghanistan (referred to as ‘The Afghan War Diary’) the most controversial document pertaining to Canada was the first-hand report from US soldiers suggesting that they had accidentally killed four Canadian soldiers on September 3rd, 2006—a day before the September 4thfriendly fire accident outlined above. All of this brought to mind the national mourning that followed the April 2002 friendly fire incident in which four Canadian soldiers were killed and eight wounded when a US F-16 dropped a laser guided bomb on them near Kandahar. With some analysts suggesting that the Canadian military covered up the September 3rd friendly fire deaths, and others arguing that the Wikileaks reports are inaccurate and actually threaten the safety of troops and civilians in Afghanistan, the Canadian media’s coverage of this issue has been typically balanced, but ultimately contradictory and inconclusive. Further investigation is necessary to verify the contents of the Afghan War Diary, as well as the more recent batch of 400,000 documents about the war in Iraq that Wikileaks released in October. What is Wikileaks trying to accomplish? According to a statement on Wikileaks.org, Wikileaks sees itself as a “not-for-profit media organization [whose] goal is to bring important news and information to the public.” When Australian native Julian Assange helped found Wikileaks in 2006, he and his team redefined the tradition of whistleblowing with their “electronic drop box” that employs cutting-edge cryptographic information technology. With the assurance of anonymity, Wikileaks hopes to encourage more people to contribute to a database of millions of documents—although Wikileaks is careful to say that it does not actively solicit information from individuals. The Wikileaks documents have fostered comparisons with the Pentagon Papers. But when Daniel Ellsberg, the former Marine company commander and State Department official, leaked the classified documents about the Vietnam War in 1971, he was not able to protect his identity, and faced serious charges of espionage and theft of government documents. Fortunately for Ellsberg, the US Supreme Court acquitted him with a landmark ruling that “only a free and unrestrained press can effectively expose deception in government”—setting the stage for the emergence of organizations like Wikileaks. However, Professor Allen Sens, researcher of international peacekeeping operations at the University of British Columbia, warns that Wikileaks’ commitment to protecting the identities of their sources—even from themselves—means that we need to be careful when interpreting the documents. “Wikileaks creates opportunities for people who witness injustices to share that information with the public, but some documents might be leaked by individuals who have certain agendas—which may be self-serving,” says Sens. Despite ongoing debates about its credibility, Wikileaks has earned the recognition of several media and human rights organizations. In a January 2010 article, Timemagazine stated that Wikileaks “could become as important a journalistic tool as the Freedom of Information Act” and in 2009, Amnesty International awarded Wikileaks the UK Media Award (in the category “New Media”) for the 2008 publication of “Kenya: The Cry of Blood—Extra Judicial Killings and Disappearances”. Being the scourge of governments and organizations worldwide, Wikileaks employs a team of lawyers to defend its existence. Wikileaks also claims to undergo a vigorous verification process before publishing any classified document. 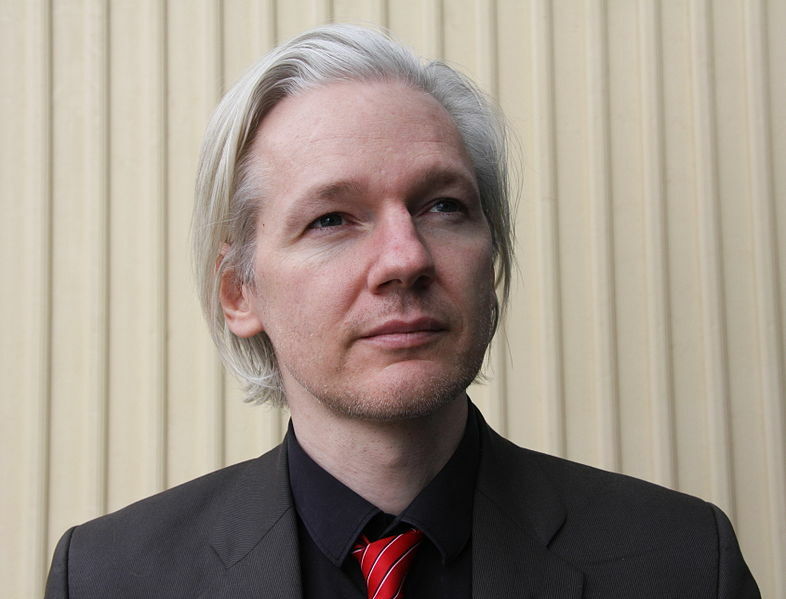 The Wikileaks team uses “investigative journalism techniques” to detect forged documents and to prevent the release of information that would threaten the safety of soldiers, allies or civilians. In July, Wikileaks withheld 15,000 of the 92,000 reports it obtained because they believed some of the data could have put people at risk. The Nation magazine’s peace and disarmament correspondent Jonathan Schell agrees that the onus is on journalists and governments to confirm or disprove the veracity of the Wikileaks reports. “The credibility of the information in Wikileaks has to come from subsequent investigations—not from the pedigree of the material itself,” says Schell. Cyr has been busy responding to public queries for the past six months following the release of the first batch of Wikileaks reports on the Afghan war. Wikileaks’ “Afghan War Diary” contains reports which suggest that the Canadian military covered up a friendly fire incident, and that the military did not make an announcement when a Canadian transport craft was hit by a powerful Taliban anti-aircraft weapon in May 2009. While some Canadians were concerned that the government was not up front about whether the Taliban had deliberately targeted Canadian military aircraft, far more media attention has focused on the friendly fire reports. At 030414Z Sept 06 received SAF &amp; RPGS from sawtooth building. returned fire 1x GBU dropped on it. Sawtooth building is heavily damaged. only 4x sections remain standing. no activity observed. Casualties 4x CDN KIA 4X CDN WIA. At 030419Z Sep received SAF and RPG fire on op, a total of WIA in these hour 7x CDN, and 4x CDN KIA and 1x WIA interpreter. The above document, which was compiled from initial on-site radio dispatches from a US military unit, states that at 4:14 GMT on September 3, 2006, US and Canadian forces inadvertently fired on each other, resulting in four Canadians killed and seven other Canadians and an interpreter wounded. The four Canadians killed were Warrant Officer Richard Nolan of Newfoundland, Warrant Officer Frank Mellish of P.E.I. and Nova Scotia, Sgt. Shane Stachnik of Alberta and Pte. William Cushley of Ontario. Another Canadian veteran, Michel Drapeau, is more suspicious that the Canadian government and military are withholding information from the public. Drapeau served as Colonel from 1984-1993, and now works as a lawyer and access to information specialist. Drapeau has filed access requests to government departments over the past several years in accordance with Canada’s Access to Information Act, but his requests have frequently been ignored. Despite efforts from the Canadian military to respond to the Wikileaks reports in a transparent manner, members of the Canadian public who were already against the wars in Afghanistan and Iraq—60% according to a recent November 2010 Harris-Decima poll—have found more reasons to object to the wars following the release of the Wikileaks reports. Friendly fire: An inevitable feature of war? “Friendly fire is a constant feature of the modern kind of warfare, when the front is always moving, and when artillery and air cover is used,” says Jonathan Schell, who compared friendly fire incidents during the Iraq and Afghan wars to the confusion he witnessed as a war correspondent in Vietnam. While subsequent investigations by the US Congress and by citizens such as Jon Krakauer, author of Where Men Win Glory: The Odyssey of Pat Tillman, has provided ample evidence proving that the US military has tried to cover up soldiers’ deaths from friendly fire, this does not mean that the Canadian military has attempted similar cover ups. Furthermore, investigations into the level of transparency in the Canadian military may not make it any less difficult for the Canadian public to accept that soldiers will die from friendly fire—which attests to the reasons why friendly fire incidents provoke cover-up attempts in the first place. On November 16, Canada’s Minister of Foreign Affairs, Minister of National Defense and the Minister of International Cooperation announced that Canadian troops will remain in Afghanistan until 2014 to fulfill non-combat roles such as training Afghan troops. The three million new documents will likely contain more reports referencing Canadian forces in Afghanistan, even though the US government has far more cause for concern about the release of these documents. In the week following the November 22 announcement, the US State Department and the Pentagon have met with US government officials to try to prepare for what will come out of the leaks. As advances in online technology threaten to leak information about any government or organization in the world, governments and organizations could respond by either stepping up its security measures or by making themselves more accountable to the public. So far, the Canadian and American military have responded to the Wikileaks documents quite similarly: by deriding the credibility of the Wikileaks documents instead of launching investigations to clear allegations of military wrongdoing. Many Canadians are already concerned that Canada is sacrificing itself disproportionately compared with its NATO allies in terms of blood and treasure in the Afghan conflict. Since at least 2007, a majority of Canadians have been opposed to the war in Afghanistan. With 152 total combat deaths, Canada has suffered a casualty rate of 14.4 Canadian soldiers out of every 1000, while the US has sustained a casualty rate of only 4.5 out of every 1000. The war has also been very expensive: estimates for the cost of the nine year war range from a low of $13.9 billion to a high of $28 billion. Added into this mix, Wikileaks documents which contradict official military statements only incite more tension and uncertainty.